The right to possess and carry firearms is written into the U.S. Constitution and deeply threaded into the fabric of daily life for many Americans. It’s also a right you can lose if you are arrested for domestic violence in Florida or if someone successfully files an order of protection against you. 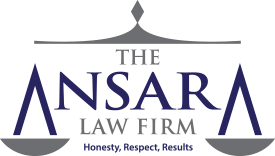 Domestic violence defense lawyers at The Ansara Law Firm, know the government has legitimate reasons for restricting firearm access in certain domestic violence cases. Consider that domestic violence cases involving a gun are 12 times more likely to end in a death. Households with guns are eight times more likely to result in a homicide by intimate partner or family member. And two-thirds of all domestic violence homicides in the U.S. are committed using guns. The Florida Department of Law Enforcement reports there were 170 domestic violence-related homicides in 2013. On the other hand, allegations of domestic violence are all too often exaggerated or falsified entirely. The burden of proof for orders of protection is even less than for a criminal conviction. Without adequate legal representation, people who are not a threat to others could be unfairly stripped of the fundamental right to bear arms. Under a federal statute known as the Lautenberg Act, a person who has ever been convicted of a misdemeanor act of domestic violence is barred by law from possessing a firearm. Per 18 U.S.C. Section 922(g)(9), a law enacted by Congress in 1996, a person convicted of misdemeanor domestic violence could face up to 10 years in prison and a $250,000 fine for having a gun. Under this provision, “possession” of a firearm can be either actual or constructive. Actual possession means one is in physical possession of the gun. Constructive possession, meanwhile, means a person knowingly has the power and intention at a given time of exercising dominion and control over an object or over the area in which the object is located. (This standard was set in the 1997 case of U.S. v. Booth). So for example, if you know the firearm is in your car and you have the ability to access it and exercise control over it, either personally or through someone else, then you may be considered in constructive possession of that firearm. Violation of this statute could also result in revocation of supervised release. So if you are on probation at the time, you could be sent back to jail or prison. The Lautenberg Amendment has withstood a number of constitutional challenges, including those to the Second Amendment, due process, commerce clause, ex post factor and equal protection. Courts have even held a defendant who is unaware of the law is not immune from prosecution under it. Florida law, meanwhile, makes it unlawful for a person who has been subject to a final judgment for injunction of protection for domestic violence (pursuant to F.S. 741.30) to have either a firearm or ammunition in their care, custody or control. In order for the law to apply, there has to be a final judgment of injunction for protection against domestic violence. If a person who is the subject of a valid, repeat violence or domestic violence injunction, his or her concealed carry license will be suspended or their application for a concealed carry license will be denied, per F.S. 790.06(2)(I) . In certain places, temporary and final orders of protection may include valid directives requiring the subject of these orders to surrender firearms and ammunition within 24 hours. Defendants are required to file a receipt with the court, acknowledging they have been served notice of this requirement. Failure to comply with any of these provisions can result in a respondent being found in contempt of court. Florida law is clear that conviction of a felony or misdemeanor domestic violence case will result in the loss of a right to possess a gun. Anyone who buys a gun in Florida has to fill out ATF form 4473, which directly asks the purchaser whether he or she has ever been convicted of misdemeanor domestic violence. This includes cases in which adjudication was withheld. If a person lies on form in order to obtain a gun, it’s considered a third-degree felony, punishable by up to five years in prison. Additionally, sellers of firearms have to request a check from the NCIC, Florida Crime Information Center and the Florida Department of Law Enforcement systems to ensure there haven’t been any disqualifiers. Because the state takes these offenses very seriously, it’s important to contact a lawyer if you are accused of violating any of these provisions.